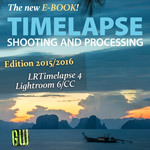 Cannot find the LRTimelapse export presets. I have installed add-ons and everything as instructions on dmg. Any suggestions or manual presets installation before upgrading license please?? 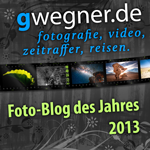 This post was last modified: 2013-08-30, 13:27 by gwegner. Sorry not to mention in my previous post but I did read the post and the option is already unchecked. 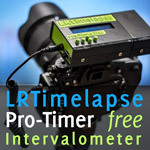 Still don't see the the LRTimelapse export options in Lightroom. Can I not add the presets manually?? This post was last modified: 2013-08-30, 13:31 by gwegner. Check if they are there. This is the place where Lightroom normally expect the files. This post was last modified: 2013-08-30, 14:35 by Jose. I did copy the files manually using the Lightroom button in the preferences panel (see image). Lightroom only recognized the files copied in the second place. I hope this information is useful for future cases. What do you mean with "Export won't work" - please provide more detailed information about your system and your situation. This post was last modified: 2018-06-24, 00:44 by seanson28. I just upgraded the free version of LRT 4 to the Pro version of LRT 5. The presets (entire sequence, keyframes, etc) in the Filter dialog box dropdown in the lower left of Lr, however, remained as LRT 4. I thought the update was causing some odd behavior with my chosen keyframes, so I deleted them from that location in Lr. Although I see "LRTExport5.lrplugin" & "LRTExport5.lrplugin_536.zip" where you said they would be [/Users/$USER/Library/Application Support/Adobe/Lightroom/Modules/], I don't know how to add them/make them appear in the Lightroom Filter presets now. Any tips? Something seems to messed up. Try uninstalling LRTimelapse again (On Windows: via Control Panel - Add/Remove Programs, on mac via the uninstall script in the DMG package). Then install the latest version again.